The first concept of air travel was fanciful and strangely Zen-like. In a hot air balloon, you could lean against the basket and watch the balloon’s shadow pass over the grassy hills, and arrival time and place was somewhat unpredictable. You relied totally on the helium-filled, fabric balloon above, which was often highly decorative and beautiful. Add a little whimsy in to your life with Authentic Models’ Floating the Skies Balloon Models. These diminutive little balloons hang from the ceiling to sway gently in the breeze, just as they would if they were real. Aged colours and patterns are even accompanied by a little woven basket – they’re just adorable! 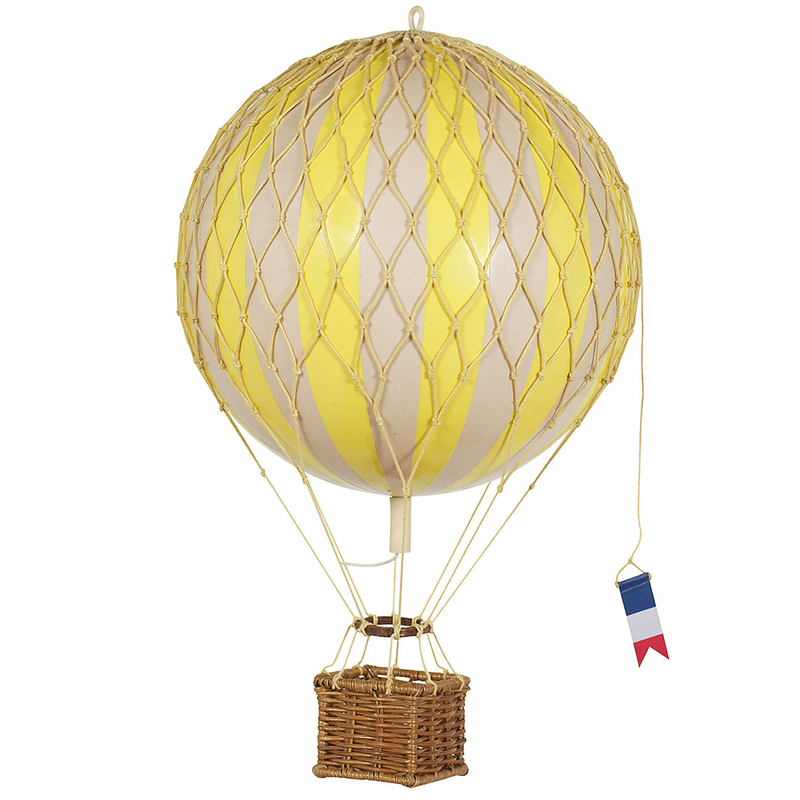 Made from lightweight plastic, with rope and woven basket detailing. Hanging loop, so you can suspend your balloon from the ceiling. Includes cord for hanging. Dimensions: 12cm (h) x 8.5cm (w).